BearboatSP is the latest member of a family of programs for designing kayaks and similar craft. The original program distributed on the web was Bearboat Classic, known originally simply as Bearboat. It was made available in 1998 and ran only on the PC. In 2002, that program was superseded by Bearboat Pro which ran on both Mac and PC computers. Begun in 2009, BearboatSP has finished a long gestation in beta and has now supplanted Bearboat Pro. Access to the older programs is maintained for those who might prefer them and for those who are striving to migrate old designs to BearboatSP. 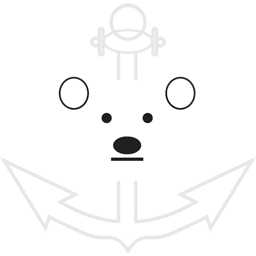 BearboatSP can open and convert Bearboat Pro files, but it cannot open Bearboat Classic files. Bearboat Pro can open Bearboat Classic files and convert them to Bearboat Pro files. They can then be converted to BearboatSP files using BearboatSP. Therefore, moving an old design from Bearboat Classic requires using Bearboat Pro as an intermediary. This is a program to access many images of human anatomy. These images are useful for learning anatomy and as reference tools for medical practitioners, radiologists in particular. Obtain large list of anatomic terms in a hierarchical outline format. OmniOutliner. Database to track code created in the programming language Xojo. Available here are charts which have been formatted as to be useful to kayakers. These are free and cover areas that I have recently kayaked. Radiology information and directory data for TRA (Tacoma Radiology Associates).